New LIFAD contest: Where do you go, where? Are you participating, and what are the prizes? The prizes are signed versions of Rammstein Paris, and yes this time I'm participating. You can vote once per hour until Oct. 2, 2017. The winner will be announced at the Loudwire Music Awards taking place Oct. 24 at The Novo in Los Angeles. Originally posted by Rammstein Press"
Today, the 6th of December, St Nicholaus, the patron saint of archers, comes bearing gifts. And Rammstein Press throws a raffle. 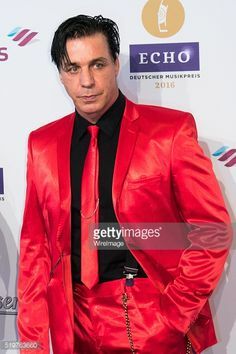 We are giving away one copy of "Yukon - Mein gehasster Freund", signed by Till Lindemann! All you have to do is to comment on this post and share it. Draw a picture, yell something, write a poem, or give a review of the book. This will not affect anyone's chance of winning, but it is fun! We will contact a lucky winner on December the 24th, 9 PM, CET. The raffle will be randomised, and all decisions are final. All times are GMT+1. This page was generated at 12:17 AM.